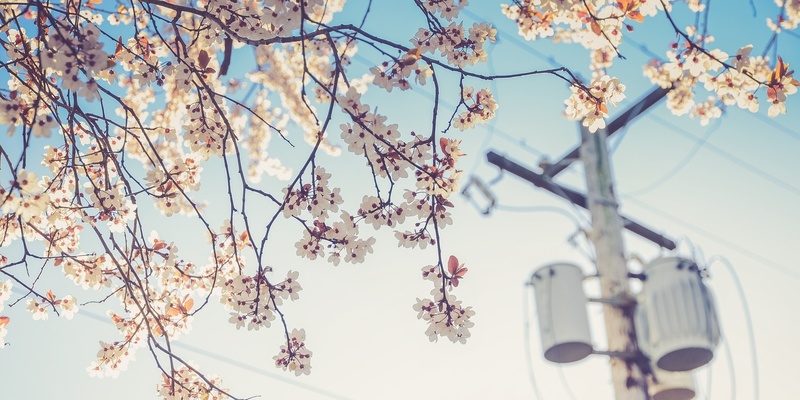 In May, the North American Electric Reliability Corporation (NERC) released “Phase II” of its reliability assessment of the Environmental Protection Agency’s Clean Power Plan (CPP). Those of us familiar with NERC’s Initial Reliability Report and its “Phase I” report were bracing for an exaggerated list of reliability threats we saw as inconsistent with current trends in the electricity system. What we got was quite different. The new NERC in a nutshell: Change is coming, CPP or not. But before we dig in, let’s recap the earlier reports, which did so much to raise concerns about the CPP. NERC’s preliminary warnings about the proposed CPP were so dire that AEE Institute commissioned The Brattle Group, a leading utility consultancy, to assess whether the situation was really as bad as NERC predicted in its Initial Reliability Report. Their verdict: “Following a review of the reliability concerns raised and the options for mitigating them, we find that compliance with the CPP is unlikely to materially affect reliability.” The Brattle Group pointed to new technologies, operational tools and practices, and the inherent flexibility of the CPP as some of the many reasons NERC’s concerns were overblown. Of course, we don’t agree with all of NERC’s conclusions, nor with all of the assumptions and choices driving them. For example, we question the choice to restrict the CPP “base case” to intrastate trading when EPA has created a drag-and-drop trading-ready plan allowing for full interstate trading. Given long-standing trends, we’re also not sure why low-cost, high-performance renewable energy assumptions aren’t baked into the reference case and CPP base case rather than being relegated to a separate CPP compliance scenario. Indeed, despite the improvements noted below, NERC’s projections for both renewable energy and energy efficiency are still low relative to other projections (e.g., The Energy Information Administration’s Annual Energy Outlook), suggesting some outdated input assumptions for these technologies. Additionally, the assessment would have been more robust had it considered multiple natural gas price scenarios rather than the single case of gradually rising prices, given the poor track record of all natural gas price predictions. Despite these shortcomings, there have been a few key changes in NERC’s analysis—in line with the critiques of The Brattle Group and AEE Institute—that have vastly improved the accuracy of the results and the relevance of the recommendations to states. First, the Phase II assessment acknowledges the trend toward increased renewable energy generation, with approximately 100 gigawatts (GW) of new renewable capacity expected from 2016 to 2030 under the reference case, rising to about 110-120 GW under the CPP. The result is that grid operators have to plan for renewable integration whether or not the CPP goes into effect. This is a huge departure from NERC’s Phase I results, which predicted just 35-53 GW of new renewable capacity during the same period. Given that we’ve seen 9.7 GW annual growth of non-hydro renewable energy capacity, on average, from 2008 to 2014, NERC’s range of 7-9 GW per year is still low, but at least closer than the 2-4 GW per year projected by Phase I. Under the Phase II high-renewables CPP case, improved technology and cost assumptions boost the increase to 10-12 GW per year, approaching the levels projected by the Energy Information Administration’s CPP reference case. Second, the analysis acknowledges energy efficiency as a compliance tool, correcting what we saw as one of the major pitfalls of NERC’s Phase I assessment. In Phase II, energy efficiency takes center stage, with NERC concluding, “energy efficiency measures play the most dominant role in coal generation displacement under the CPP.” That’s not to say that NERC’s energy efficiency projections are perfect — quite the contrary. The projections come from the Electric Power Research Institute (EPRI), in a study that The Analysis Group notes as having “noticeably lower estimates of achievable potential than almost all other EE potential studies we reviewed under any circumstance.” Yet even these conservative estimates still place energy efficiency as one of the central options for CPP compliance, bringing NERC’s analysis closer to likely outcomes. Third, when considering the reliability implications of the anticipated changes to the power system, NERC’s focus has shifted from potential problems to potential solutions. While the solutions are not discussed in the report itself, NERC refers to the Essential Reliability Services Task Force (ERSTF), formed in 2014 to assess the impacts of the changing resource mix. In a November 2015 “Measures Framework Report” the task force identified measures and practices available to maintain reliability, asserting, “the reliability of the system can be maintained or improved as the resource mix evolves, provided that sufficient amounts of essential reliability services are available.” AEE is working to ensure that advanced energy technologies and services such as energy storage and distributed generation can compete equally to provide these reliability services, adding to the already-long list of technologies and operational techniques available to grid operators. Projections and models are never perfect, and NERC’s Phase II reliability assessment is no exception. But NERC has taken a big step toward acknowledging the realities of a changing resource mix, with CPP a contributing factor, but hardly a source of disruption. As a result, Phase II offers not only more realistic projections of what the future electric power system looks like, but also a more constructive focus on planning and solutions that we will need with or without the CPP as we move toward a new normal. Learn more by signing up for AEE's free weekly newsletter.